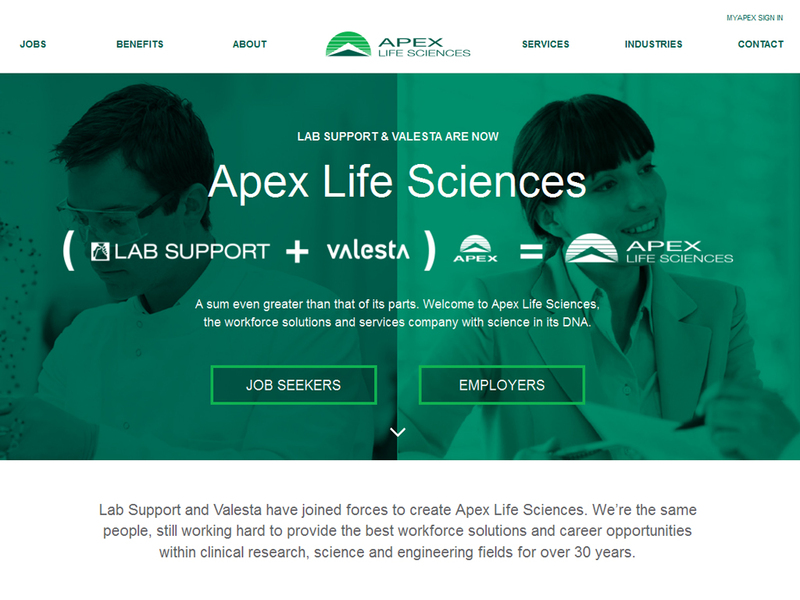 For its initial public launch, Apex Life Sciences hired Imagistic to develop the new Web site, and hired Imagistic's Chief Strategy Officer to coordinate and manage internal stakeholders and additional 3rd party vendors. 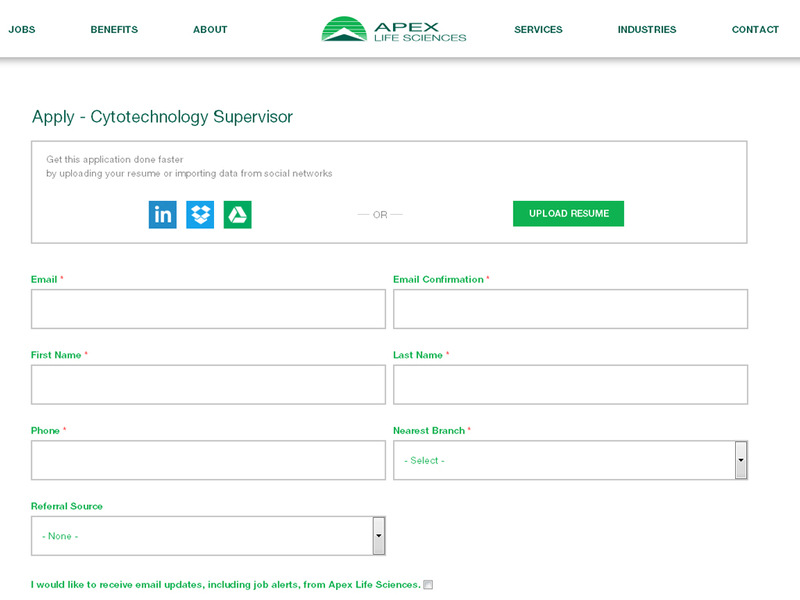 Kevin worked with the Apex Systems executive team to gather system requirements and to manage all parties to a successful on-time launch. 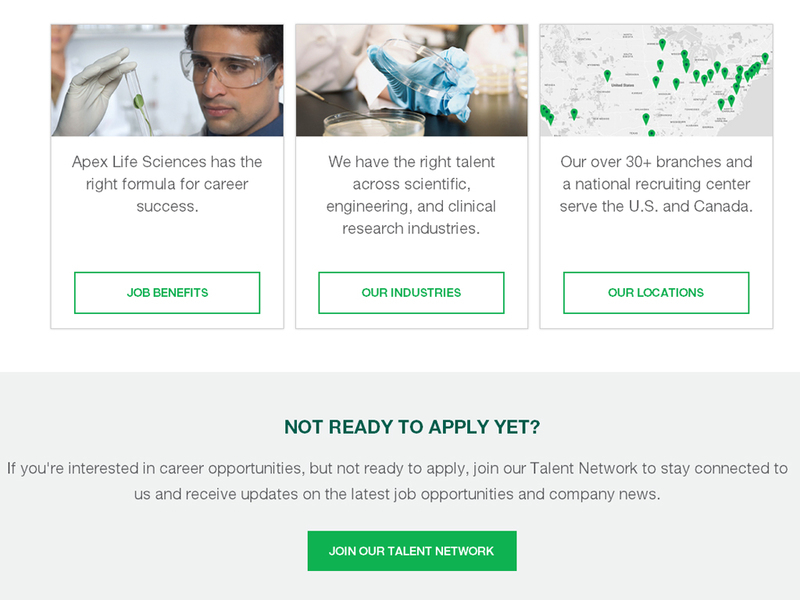 The project included brand positioning, a well-tuned, easy-to-update CMS, and bi-directional communication between the Bullhorn ATS (Applicant Tracking System) and Phenom People TRM (Talent Relationship Marketing). 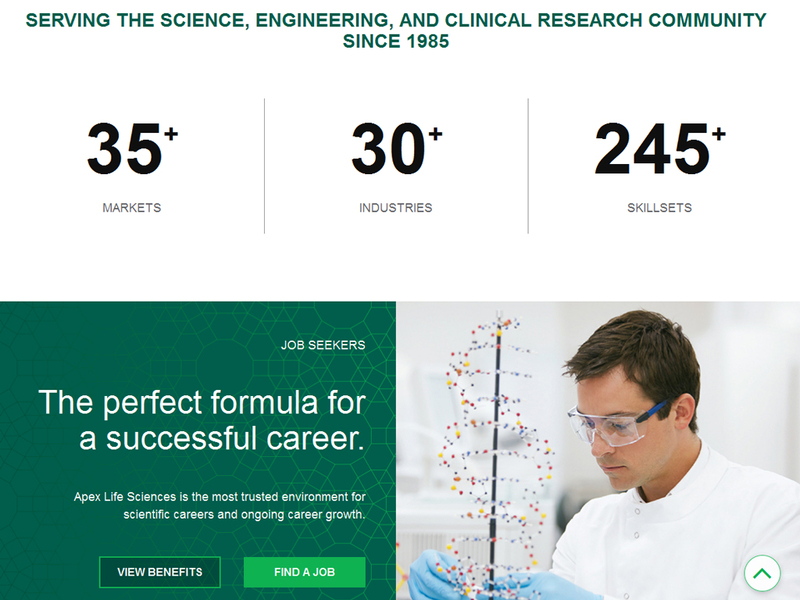 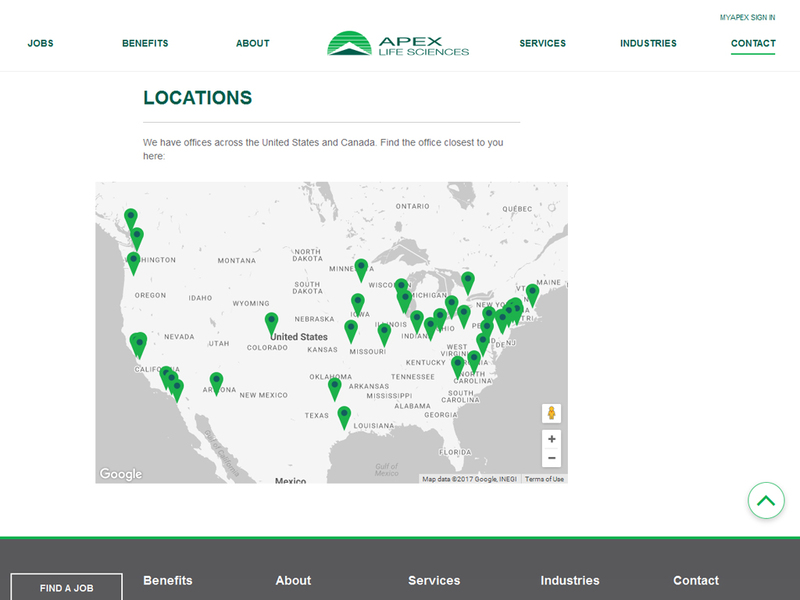 Apex Life Sciences is a division of the 5th largest clinical/scientific staffing and services firm in the U.S. We match top scientific, engineering, and clinical research professionals at all career levels for contract, contract-to-hire, and direct hire opportunities.